of advanced astrophysics and progressive neuroscience." This film blew my mind! 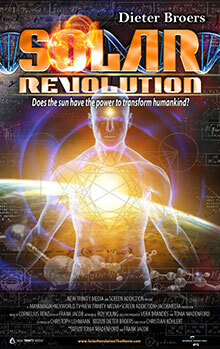 If you've seen 'The Secret', and that started you wondering about our innate, yet underutilized abilities to influence the world around us, you've got to see 'Solar (R)evolution'. This film beautifully blends science, philosophy and spirituality in a way the helps explains so many of the mysteries I, and lots of people, have been sensing around us. And, it provides a solid foundation for hope in these challenging times. Moreover, it shows how that hope within each of us makes a global difference. I don't pretend to understand everything discussed in this amazing film (quantum physics, etc. ), but awareness of what we are capable of is the first step.